Why Play Golf In Murcia? Once upon a time if you were going to Spain to play golf, the chances are you were flying to Malaga and heading to the south coast to any of the courses in the Costa Del Sol however in recent years one of the most popular destinations for UK and Irish golfers has been Murcia due to the fantastic golf resorts that have opened up with highly competitive pricing to entice people from more familiar destinations. The region of Murcia has become increasingly popular with golfers looking for somewhere slightly different to the normal golf holiday destinations. With 15 golf courses in the Region and some of the best weather in Europe it’s not surprising that so many golfers have discovered one of Europes best golfing holiday areas. Why Play In Murcia On Your Next Golfing Break? Golfers of all abilities can find golf courses in Murcia that will suit their playing standards and provide an enjoyable golfing experience. Perhaps the best-known courses are at the La Manga Club where they have three Championship standard courses and have staged the Spanish Open and the Spanish PGA Championship in the past. All three courses are ranked in the top 40 best courses in Spain and the newest one, the West course designed by Dave Thomas, is in the top 100 in Europe. There are numerous tees to play from, so you can make the courses as easy or as challenging as you want. The Mar Menor Golf Resort has six jack Nicklaus designed golf courses to play on and each has its own unique characteristics. 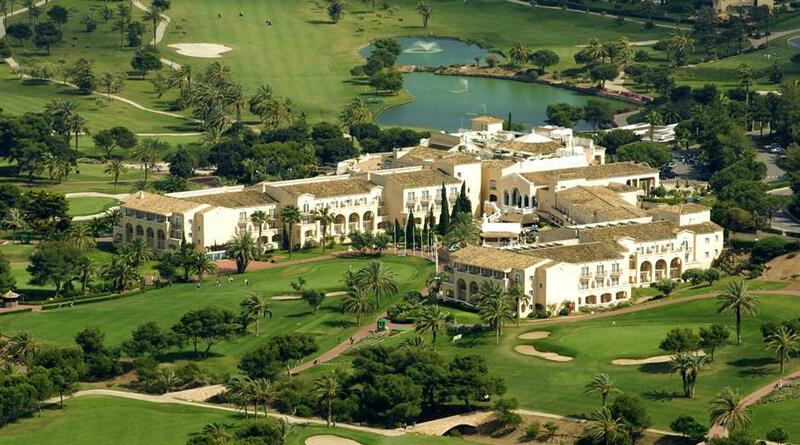 Saurines de La Torre is a desert style course whilst Mar Menor Golf Course itself is a more parkland style. Perhaps the two best of the courses are El Valle Golf and Alhama Golf which is a Jack Nicklaus signature course but whichever course you choose you will not be disappointed. Roda Golf And Beach Resort and La Serena golf are two excellent resort style courses that provide holiday golf at its best. What Is The Best Way To Get To Murcia? There is a delightful small airport called San Javier just outside the City of Murcia. It is shared with the Spanish Air Force so doesn’t have as many flights as, for example, Alicante or Malaga however it does offer an incredible service – picking up your golf clubs and luggage occurs in an extremely fast time. There is a new much larger Airport that is due to open in January and this will enable more flights to arrive opening up the area to more golfers and hopefully they will be able to replicate the same level of service. Alicante Airport is about an hour drive away and with flights from all over the UK and Europe there is no excuse for not visiting the Region. Where Is The Best Place To Stay In Murcia? There is a large array of different types of accommodation available so whatever your pocket or requirements you are sure to find somewhere suitable. Without doubt the self-catering apartments at Mar Menor Golf Resort and Roda And Beach Resort offer quality accommodation at very reasonable prices. When combined with six different golf courses to choose from the Mar Menor complex is one of the very best golfing destinations in Europe. You can also take advantage of these great courses by staying in the five-star Intercontinental Hotel which is also right on-site. This modern hotel offers everything you would expect from a luxury property and has a level of service that is comparable to any other top-quality property. The apartments at Roda also offer excellent accommodation and with the 525 square just a few minutes away there is every opportunity for evening entertainment. The La Manga Club has long been a go to destination for UK golfers and with both apartments and a five-star hotel on site it its easy to see why. There are one, two and three-bedroom apartments available in the Las Lomas Village part of the complex and the five-star hotel is one of the regions best known properties. If you are looking to stay in a town then Cartagena is well worth considering. It has excellent hotels and restaurants and is around a 30-minute drive from several of the golf courses. It is an ancient Roman City so there are also many sight seeing opportunities as well as the gastronomy and entertainment on offer. Murcia has everything that the golfer needs to have an enjoyable golf holiday. Great weather, good golf courses and accommodation to suit all pockets make this increasingly popular destination a major player on the European golfing scene.